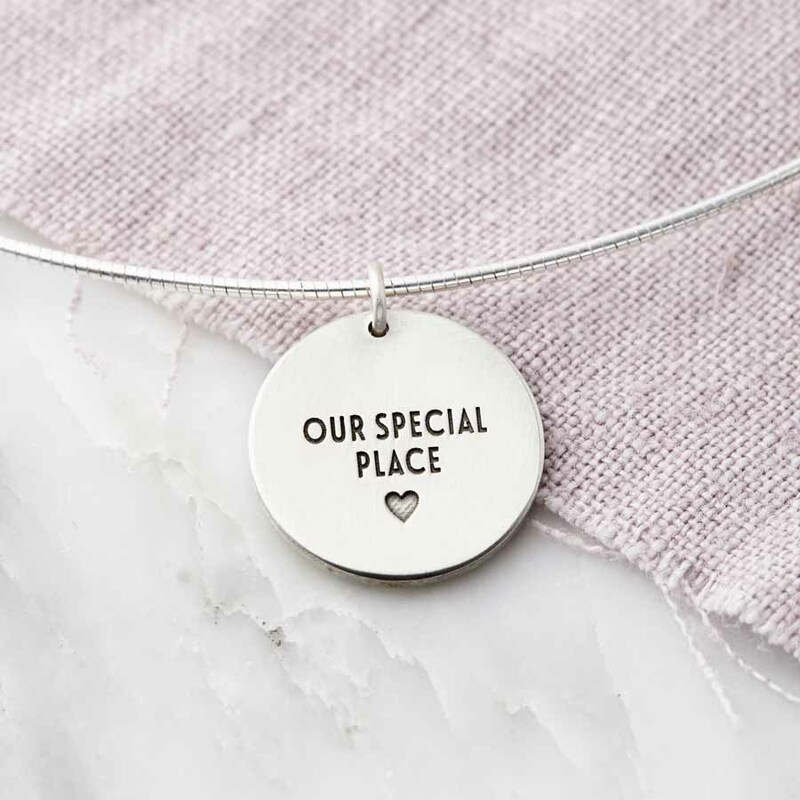 Sterling silver necklace featuring the coordinates of your special chosen location and a heart, etched in relief on a smooth sterling silver necklace. 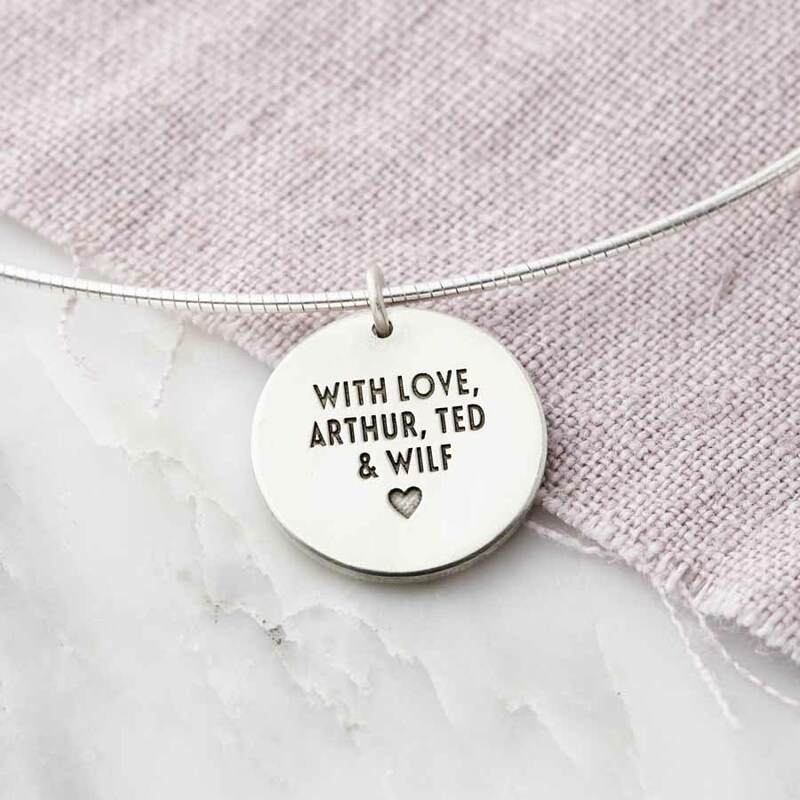 A hidden message can also be engraved on the reverse of the neckalce. This could be something between just you and the wearer. A special date, or a short message from you to them. 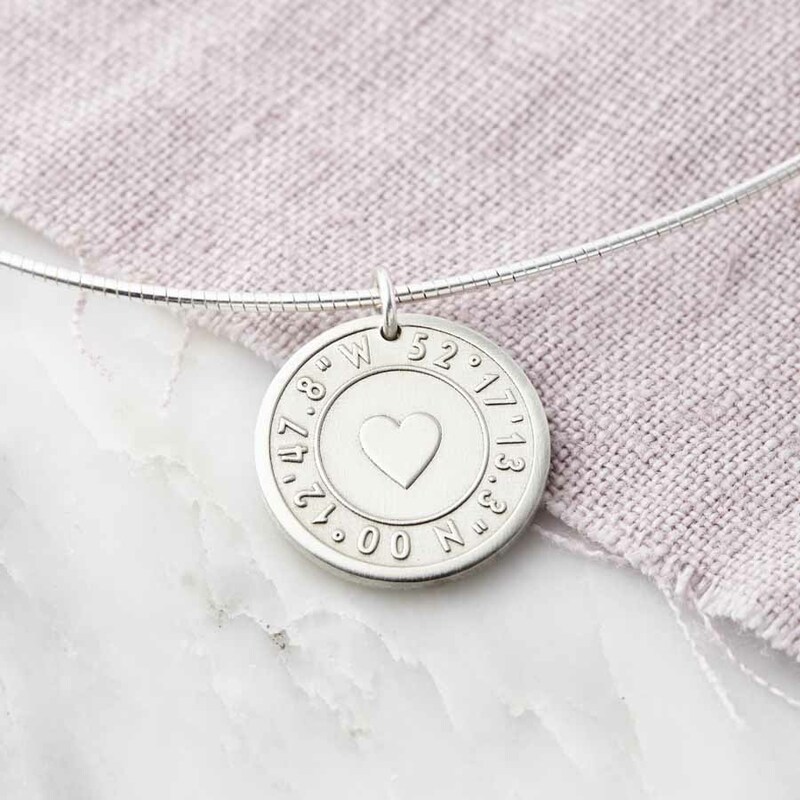 Please note: we may ask you to check the coordinates before we start making the necklace. Please respond as soon as possible to prevent a delay in the dispatch of your order. 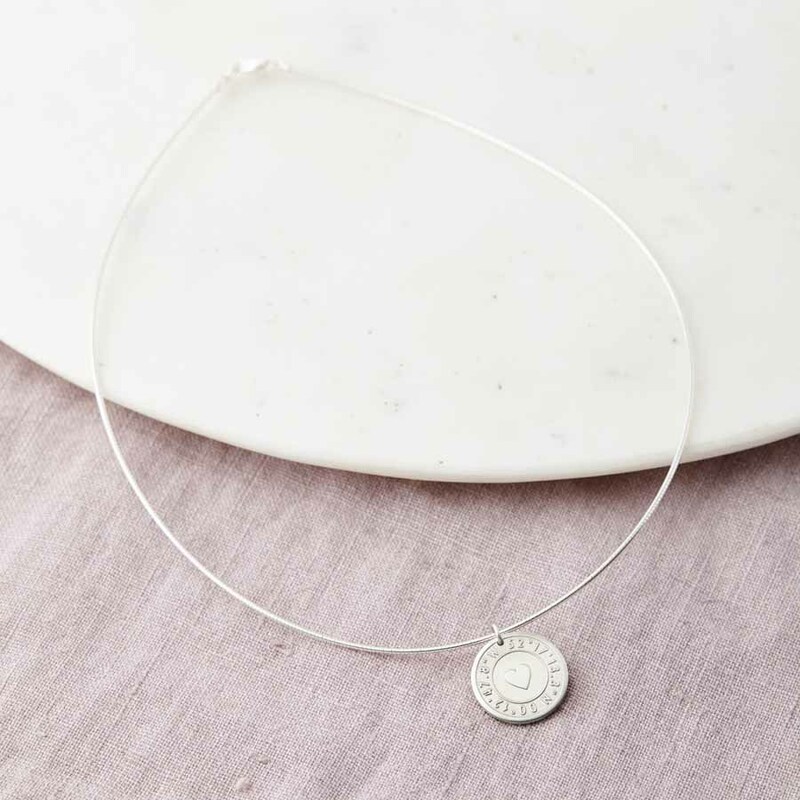 The pendant is handmade and our studio and it drops from a strong, sleek 45cm chain designed to sit at the bottom of the neck, much like a choker necklace.